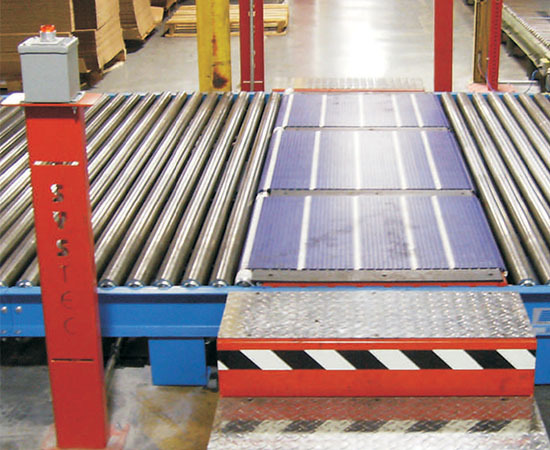 Systec's Conveyor Safe Walk (CSW) is a safe and efficient method of creating safe passage across any conveyor mainline. Our newest version has been completely redesigned to increase the drive consistency and overall durability of the CSW. This redesign makes Systec’s CSW the longest lasting plastic conveyor crossing design in the industry. Based on the needs of the plant the CSW can be incorporated into many different systems. Controls can be added to keep the CSW lane clear at all times or it can be run with the push of a button. Systec uses intermesh belting for increased longevity and overall quality for the Safe Walk top surface.